A few months ago I was working in a sports portal project. 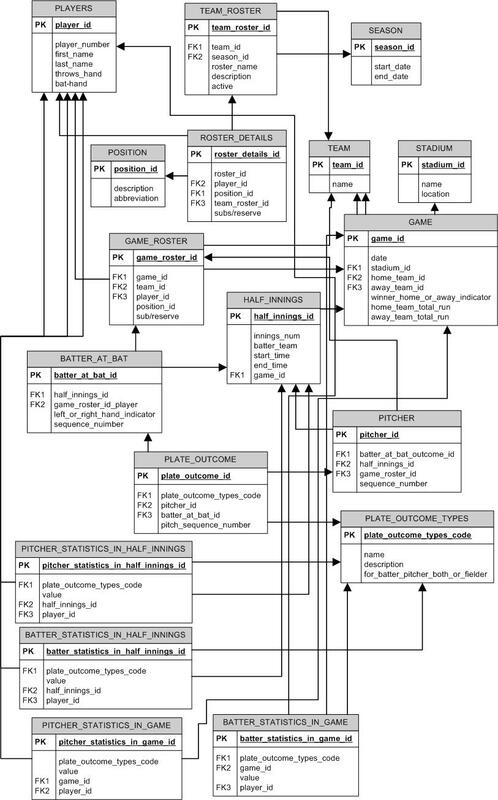 As a database developer, my first task was designing data model for Baseball sports. I am living in Bangladesh where I have not ever played the game. Even I did not watch the game in television let alone my knowledge on game rules and statistics. But I have to solve the task. These two links help to gather knowledge on the game. But theoretical knowledge was not enough for me and as I am a sports lover from my childhood, I collect the game BASEBALL 2005 by EA Sports. Playing the game I got myself interested in Baseball and also I got the knowledge about it. The rest of the logic was written in application layer. 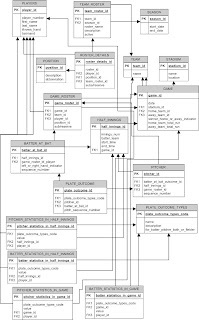 How did you make the relationship entity model?